Buying a home that uses well water can be very cost effective, because you will not have to worry about a monthly bill for your water treatment. However, you do need to stay on top of maintenance for your well, or you will be left with a costly, and potentially dangerous, water situation. 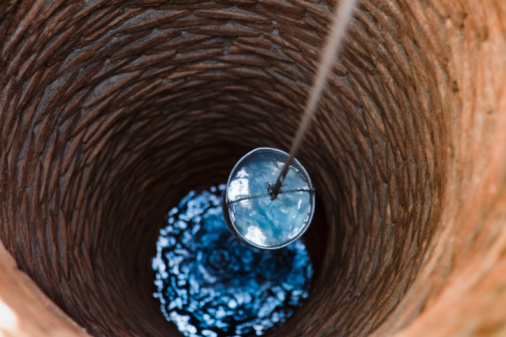 One of the most important things to do when caring for a well is to keep contaminants away from your water. Do not use hazardous chemicals near your well, and make sure it is properly covered to keep other contaminates out. Use back flow prevention devices on outside faucets to keep pollutants from creeping back into the well. Take the time to regularly inspect all exposed parts of the well, checking for cracks or damage. Have any problems fixed as soon as you find them. One of the most important parts of having a well is testing your water to ensure it is safe to drink. It needs to be tested at least once a year for bacteria to ensure your family is safe. It also needs to be tested for nitrate, and water that has not been tested for nitrate should not be given to babies under six months of age. To test your water, contact your local health department. They will either be able to test it for your or will be able to direct you to a certified lab that can do the testing. Keep a log of your results. The maintenance costs for your well are going to vary depending on how well your testing goes. If you can keep your well free of contaminates, you will have no costs for the water you use. Sometimes a component or pipe will need to be replaced. If that happens, the cost can be between $200 and $1,000. If your water becomes contaminated, you will have to follow the proper channels to get it clean again before you can use it. Not only will you have the cost to fix the water, but you will also need to buy additional drinking water during that time. Sometimes wells can run dry. If this happens, you will have to drill a new well or drill your current well deeper. This cost is typically calculated per foot and usually starts at around $20 per foot, depending on your location. If you need to have a new well drilled, you will be paying quite a bit of money. Most companies charge per foot, so the deeper you have to go, the more you will pay. Also, the type of ground that must be penetrated may affect how much it costs. You can plan to pay around $20 to $30 per foot of drilling. You will then also need to pay for the apparatus on top that protects the water, as well as the piping and other equipment that will get the water from the well to your home. This can cost anywhere between $1,000 and $20,000, depending on your situation.